Types of Alloy Steels: Alloy steels are generally classified as low-alloy steels or high-alloy steels. Low-alloy steels have similar microstructures and heat treatment requirements to plain carbon steels and contain up to 3 or 4 % of alloying additions in order to increase strength, toughness or hardenability. High-alloy steels have structures and heat treatments that differ considerably from plain carbon steels. A surumary of a few selected alloy steels is given below. 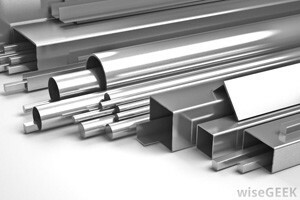 Low alloy constructional steels: As well as carbon, these contain additions of Mn, Ni, Cr, Mo etc. Nickel strengthens ferrite in solution but also causes graphitisation of carbides. For this reason it is usually accompanied by strong carbide stabilisers such as chromium, which also strengthens ferrite and increases hardenability. The Ni is usually in the majority, with maximum amounts 4.25% Ni and 1.25%Cr, often resulting in air hardenable steels. Tempering in the range 250oC -4000C can result in ‘temper brittleness’, but this can be minimised by additions of 0.3% Mo giving ‘nickel-chrome-moly’ steels, used in axles, shafts, gears, con-rods etc. Some Mn can be substituted for more expensive Ni. (See Table for more details). Alloy tool and die steels: (B5970 and B54659). These acquire hardness and wear resistance by incorporating carbides that are harder than cementite, while retaining strength and some toughness. 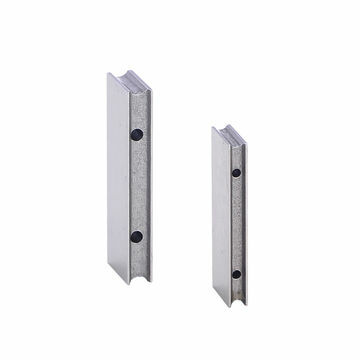 They also have high hardenability and the ability to resist the tempering effects of use in hot working dies and from frictional heating in high speed machining operations. 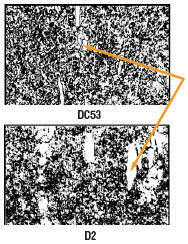 Alloying additions include Cr, W, Mo and V, which are strong carbide formers and also stabilise ferrite and martensite. A typical composition is 18%W, 4%Cr, 1%V, 0.8%C. Quenching from high temperatures (13000C) is necessary, in order to dissolve as much W and C in austenite, for maximum hardness and heat resistance, followed by heating to 3000C – 4000C to transform any retained austenite to martensite then to 5500C to relieve internal stresses and produce carbide particles in a toughened martensite matrix. This martensite is then temper resistant up to 7000C. A cracked flexplate is almost always a sign of other problems. If not properly diagnosed it will occur again and often damage to the transmission may follow. 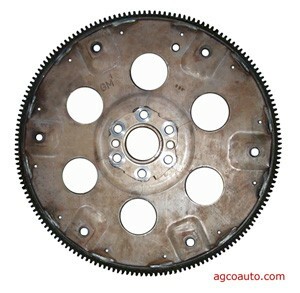 The flexplate takes the place of the flywheel on automatic transmission vehicles. 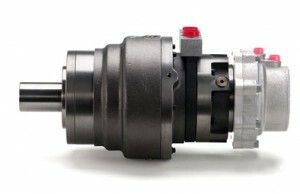 It bolts to the end of the crankshaft and attaches to the torque converter. There is also a large gear attached, used by the starter to crank the engine. Because perfect alignment of the engine and transmission are not possible, the flexplate can absorb the minute misalignment. As misalignment increases, the flexplate flexes more. This continual flexing eventually causes the metal to fatigue and the flexplate cracks. Misalignment should be less than .008 of an inch and the less the better. When the engine and transmission are manufactured, holes are drilled for bolts to attach them to each other. These holes are larger than the attaching bolts and do not align the two components. Precision dowel pins, that fit very tightly, hold the engine and transmission in alignment. When engines and transmissions are serviced or replaced, it is possible to omit these dowel pins. Sometimes they are left out and misalignment results. Other times, bolts are left out, improperly tightened, or foreign objects get caught between the engine and transmission, such as wires. 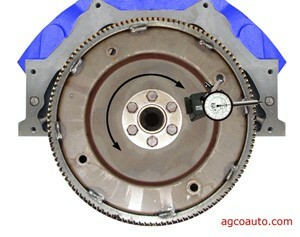 When this occurs the engine/transmission alignment is thrown off and excessive flexing occurs in the flexplate. General Motors had problems with this on their 3.8L engines several years ago. 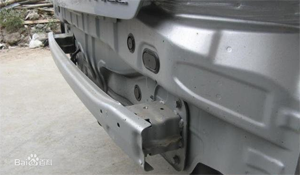 The bolt pattern and dowel pins may be drilled improperly. When this occurs the vehicle is likely to have continued problems with flexplate breakage. A dial indicator may be used to check symmetrically designed engines. On non-symmetric engines, special jigs and complex measurements may be needed. Slight misalignment may only cause a single flexplate to break in the life of the vehicle. 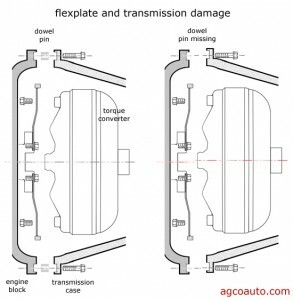 More severe misalignment can break a flexplate in 15,000 to 30,000 miles. Excessive crankshaft flange run-out or end plate can also cause flexplate cracking. This may occur in worn engines or engine that have been poorly rebuilt. 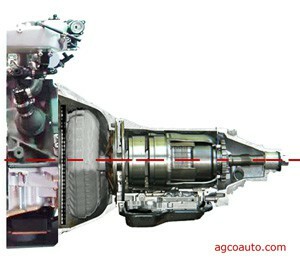 An engine, transmission or torque converter that has been dropped may also have damage that will cause misalignment. When a running engine ingest water or coolant, the crankshaft may be bent. 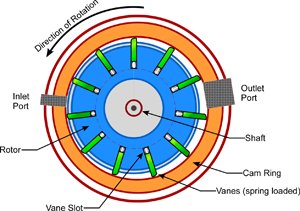 Liquids will not compress and immense force is placed on the crankshaft and rods. This sometimes happens with a leaking intake manifold or driving on a flooded street. The bent crankshaft will have run-out at the flange and may have continued problems with flexplate cracking. 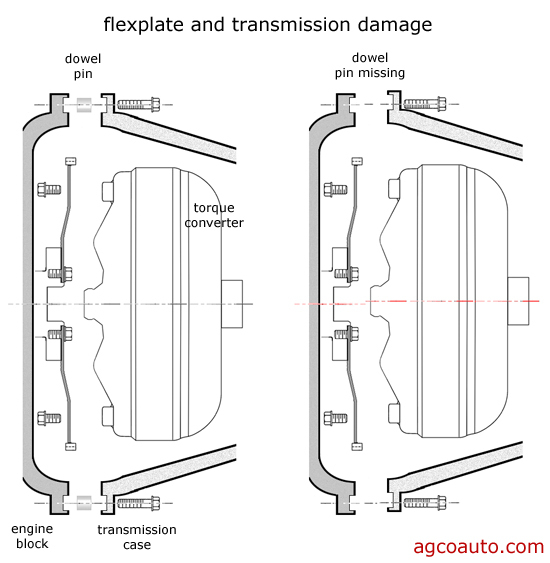 The same things that cause the flexplate to crack can also cause transmission problems. Damaged and leaking front seals and front transmission pumps are common symptoms. When a flexplate cracks, it often produces a loud knocking noise as it rotates. The sound is very similar to a bad engine rod and is often misdiagnosed. Removing the bolts to the torque converter and sliding it back into the transmission will often reveal the real problem. 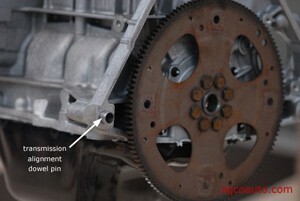 Simply replacing the flexplate will result in recurrence. 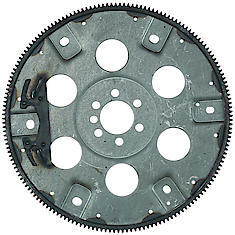 Trying to install a heavier duty flexplate will normally pass the problem to the transmission. Correcting the cause of the misalignment is the only repair that will give permanent results.